Hello there! 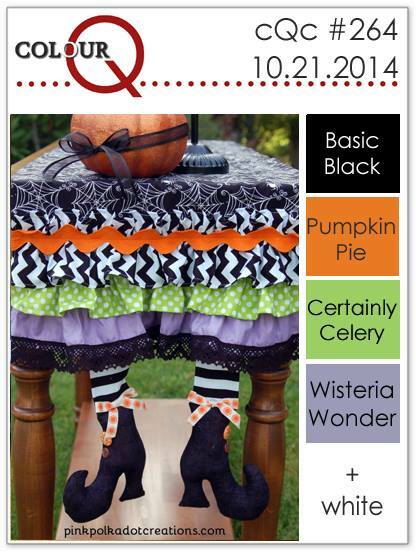 Today is the reveal of a new color palette at colourQ and it just so happens that the colors, inspired by this table runner, are perfect if you are in the mood for a Halloween card or, as in my case, you would like to try something new. 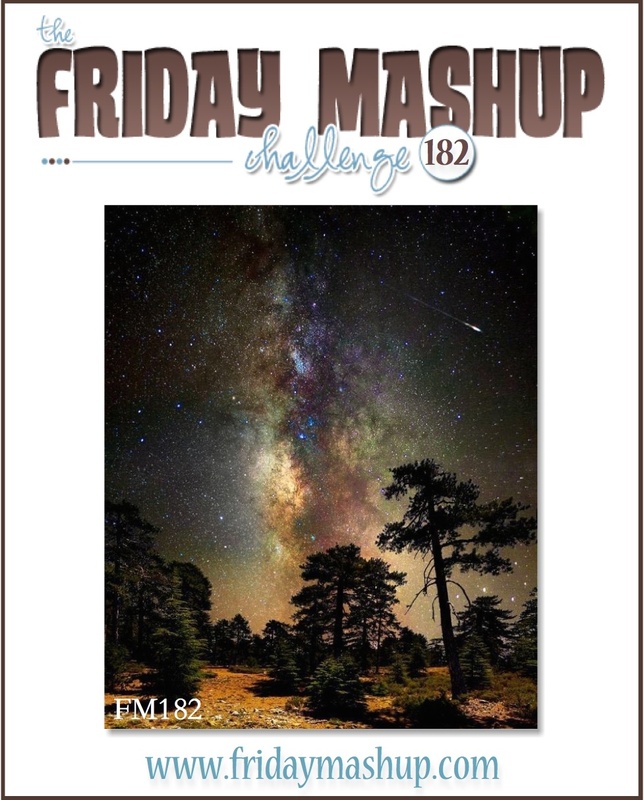 The challenge this week at Friday Mashup is to try something that I'd never heard of called the Galaxy Technique. You basically create a card where the background looks like some of the views you've probably seen from the Hubble space telescope. They've got a couple of links to video tutorials on the challenge post - one using watercolors and one using Distress Paints. And both are very cool. This is actually the second version I attempted using this technique. The first one I made was using watercolor paints and since me and watercoloring are barely on speaking terms you can only imagine the hot mess that followed. For my second attempt I wanted to try something more like the Distress Paint version even though I didn't have any paint, Distress or otherwise. I started out by tapping some Distress Ink on my craft sheet in the orange, green and purple colors. I misted them with water then smooshed my cardstock in the mess I created. Then I took some black dye ink and tried the same thing. The black didn't look so good. (Note to self, put black Distress Ink on my wish list). Not to be deterred I dried the cardstock with my heat tool then set about sponging black ink all over it. The darker areas you see are actually the smudgy effect of using the black dye ink misted with water so even though I thought it looked terrible when I first did it, I ended up liking how it gave my little corner of the universe some depth. I added some little splatter stars by dipping a brush in some shimmer paint and tapping it against my finger so that it would leave splatters all over the place. I heat embossed, in white, some bigger stars and something I like to think of as a comet tail to finish off the look. I'm quite pleased with how it came out except for the part where I messed up and used Wisteria Wonder ink and Vintage Violet cardstock. You've already stuck with me this long so I won't bore you with THAT story, I'll just thank you for stopping by. 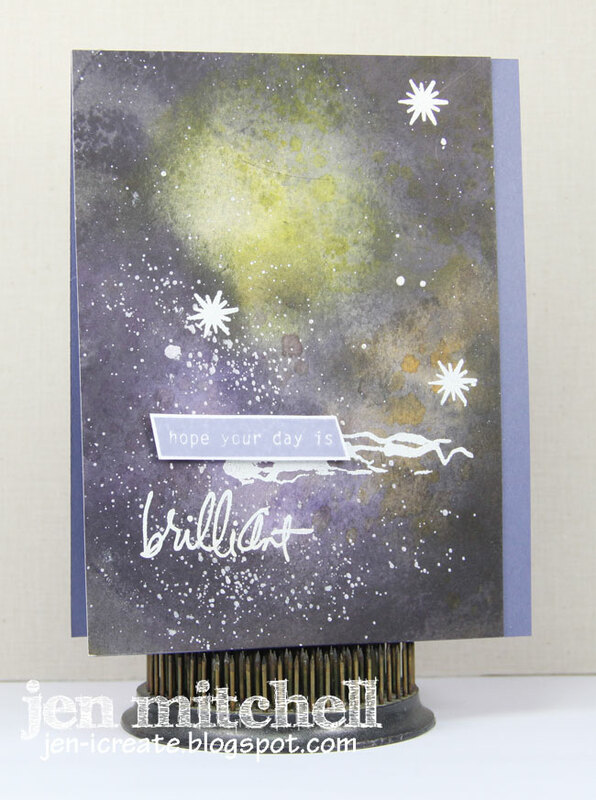 ETA: I'm also submitting this card over at City Crafter Challenge Blog where the challenge is to add a piece of sky. Thank's LeAnne for letting me know about that! The colourQ gang have again made some outstanding cards using these colors so please pop on over there to check them out. We always love to see you in the gallery! Jen this is so gorgeous! The distress inking is amazing. Great….now I need more stuff and another technique on my list. This is SOOOO cool! Brilliant! That is definitely what this card is, Jen! I absolutely love it! What a fabulous card this is!! I love the sky! Thanks so much for playing along at CCCB!! Very lovely, thanks for sharing with us at CCCB! Your galaxy experiments sounded very much like mine, but it is fun and I think this looks fantastic! Wow , thats amazing Jen! Lot of work but well worth it! Your take on our challenge is priceless. This is breathtaking! Thank you so much for sharing this gem at CCCB! You did an amazing job at the Galaxy technique! Your card is stunning! 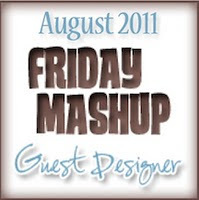 Thank you for joining us at The Friday Mashup! This is totally cool! It really looks like a galaxy. I'm going to have to try this technique! I'm just a girl who loves paper and ink. I've been stamping for many years since a friend invited me to her house to make my own Christmas cards. By day I'm a number cruncher at a bank so I love being able to finish the day with some paper, images and ink. Questions? Shoot Me an Email! 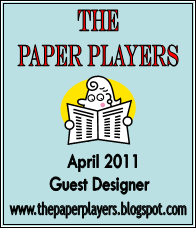 This is my personal blog and I am solely responsible for the content. 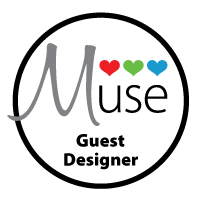 I'm happy to share my creations with you for your own personal use and inspiration. 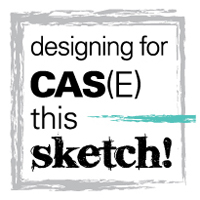 You are free to CASE my work, but I would appreciate acknowledgement and a link back here if you do. 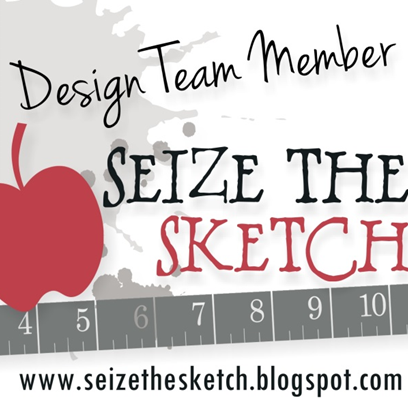 Please do not represent anything you find here as your own, use my designs as contest submissions, or submit my designs to any publication. Thank you! 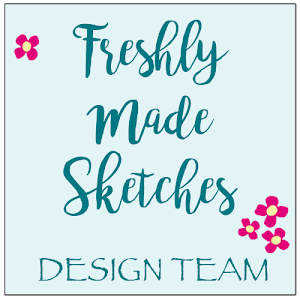 Freshly Made Sketches Meets Colour Me!